This week, we have a special treat. 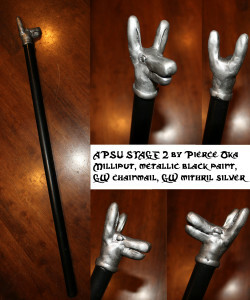 Fan extraodinaire, Pierce Oka, made a real life reproduction of Quentin Nemo's staff from John's book Orphans of Chaos. Reproduced here, for your enjoyment!